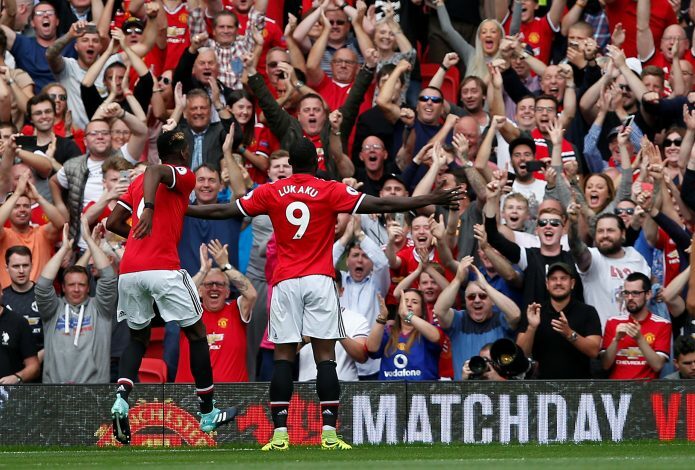 Manchester United continued their glamorous start to the new Premier League season with their second 4-0 win in a row. 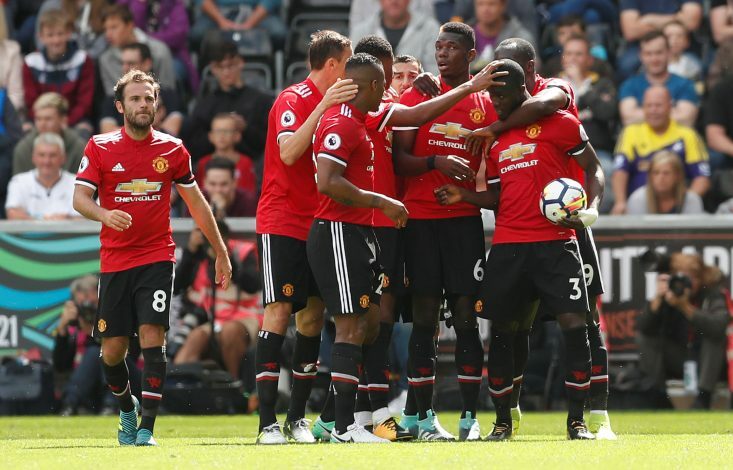 Goals from Eric Bailly, Romelu Lukaku, Paul Pogba, and Anthony Martial ensured that United remained on top of the table with a stunning goal difference of 8 in just two games. Marcus Rashford just continues to get better and better, and his performance against Swansea is evidence as to just how much he is growing under the guidance of Jose Mourinho. Being played out wide was seen as a hindrance to his development last season, and there were quite a few games where he did go missing. However, he seems to have learnt from his mistakes, and is slowly developing into a complete forward. There were plenty of moments throughout the game where Rashford made some terrific runs into space, and his movement in between the channels is definitely an aspect of his game he appears to have worked on. It was lethal against West Ham and quite effective at the Liberty Stadium once more. That intelligence, coupled with his bags of pace, will be a frightening prospect for the defenders he is set to come up against this season. One thing he does need to work on though, is his aggression in front of goal. His powerful header off the crossbar may have been key to United taking the lead through Eric Bailly, but Paul Pogba will not look back on the first half of this game with too much fondness. The French midfielder endured a horribly frustrating first 45 minutes in the middle of the pitch, struggling to break down a compact Swansea defence, and his irritation was more than evident. The midfielder was involved in a number of controversial moments, and was arguably lucky to even be on the pitch after making a terrible tackle just two minutes after being booked. However, in the second half, it was almost as if a whole new player had emerged from the tunnel. The Frenchman was by no means spectacular, but after Mata and Rashford were taken off, he pushed further up the field, and suddenly, United scored three breathtakingly quick goals in just three minutes, with the man himself scoring with a beautiful chip and playing an instrumental part in the others. One thing is for certain: If the Pogba of the second-half turns up more often, he will be a force to be reckoned with. For a majority of last season, United struggled to grind out results because of one rather frustrating aspect of their game – their impotence in front of goal. On so many occasions last season, players would have chance after chance, but would take none of them, and it ultimately had a huge effect on their season. They over-relied on Zlatan Ibrahimovic, and once he got injured, it became obvious that they would be in trouble if they didn’t correct the issue immediately. Two back-to-back 4-0 victories show that they have done just that. Anthony Martial looks confident in front of goal again, scoring two in two games despite coming off the bench on both occasions. Lukaku is doing exactly what he was bought to do, and scored his fourth goal in three games for the club. 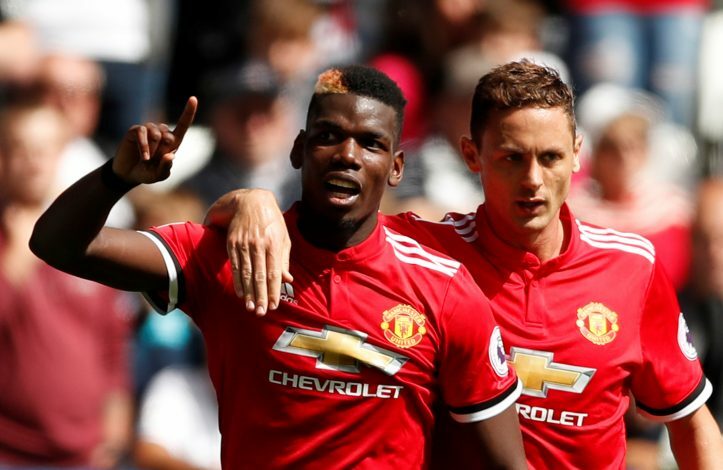 Pogba, too, is getting in on the act now that he has been given freedom to move forward at will, and grabbed his second goal of the Premier League season too. The Red Devils are becoming a lethal force once more. Paul Clement has done an admirable job since taking over at the Liberty Stadium, and before this game, his Swansea side were on a five-game unbeaten streak in the Premier League stretching back to last season, with four wins and a draw. 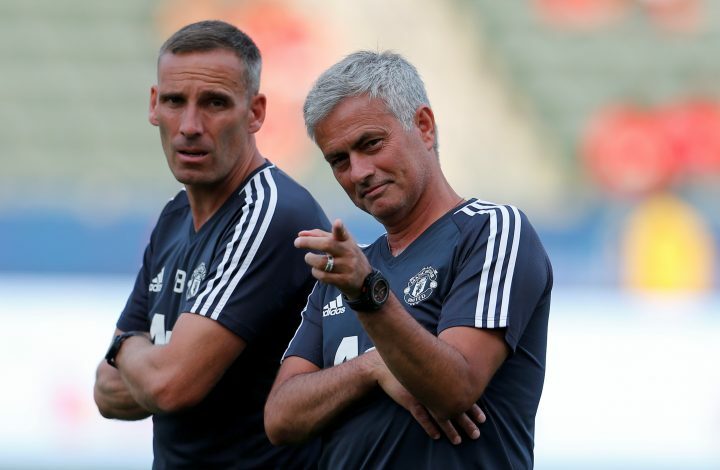 Their sudden resurgence at the end of the last season was key to them staying up, but they simply cannot afford to allow themselves to slip into a similar position in the league again. Goal-difference usually has a vital role to play in the relegation scrap towards the end of the season, and Clement knows that his side must avoid conceding more than three goals a game at all costs, just in case it comes down to another fight for survival in the league. They do have positives to take away from this game, and played their part in an enthralling first-half. But they must look deep into the sudden collapse in the second half that led to three goals in three minutes, and fix the problems before they are given the chance to grow. Louis van Gaal was a pragmatist – a manager who focused solely on the tactical side of football, who believed in a possession-based game even if it meant passing without a purpose. He was unwilling to take risks, unwilling to develop and adapt his methods according to the changing times. Jose Mourinho, on the other hand, appears to be quite the opposite. The Portuguese boss believes in a possession-based game too, but the key difference is that he is more keen on his team having possession with a purpose. It was interesting to note how United continuously made quick passes forward, unafraid to take risks and determined to find a way to cut through Swansea’s erratic defense. That was something that you rarely ever saw under van Gaal, and now that Mourinho finally has a team that he considers his own, the difference between the United of today and the lackluster, unattractive side of two years ago is starting to become evident.